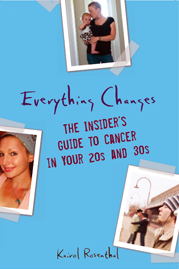 Everything Changes – The Guide to Young Adult Cancer » Ever Disobeyed Your Doctor’s Orders? I can very much relate to this post. Yes, I have disobeyed my doctor’s orders and have also been afraid to. First though…the time I disobeyed was when he told me I needed to take Tamoxifen for my estrogen positive breast cancer. I was 31 at the time of my diagnosis, had a mastectomy (when lumpectomy was recommended) and did 6 months of chemo. But when I did my research on Tamoxifen I found that it lacked research of its use and effects on younger women. It is an estrogen blocker and I was concerned about the side effects and the lack of research. This was 8 years ago so I am not sure about that now but at the time it was a huge concern for me especially given the fact that it is taken for 5 years. My doctor did not approve of my decision but understood for me it was a quality of life issue. However another doctor who I worked along side of as an OT had asked me if I had started my Tamoxifen and when I told him I was not going to take it he said to me “if you want to live to see 40 you better take it” Well, needless to say that fed right into my underlying fear of whether it was the right decision to go against my doctors. So I carried that around with me for 8 years and this past summer I turned 40 and could finally let go of that voice in my head. I know alot of women take that drug and I feel it is a personal decision, one that I felt was the best for me. Now for the time I was too scared to speak up….about 2 years ago I had a scare for something that showed up in my good breast on an MRI. It was a 2 millimeter spot that showed up out of nowhere. One that they felt 90 percent sure was nothing but needed to biopsy it to be sure. I was so scared I felt paralyzed. I couldn’t even think straight. So I did have the biopsy. It was a needle biopsy in the MRI machine (just freakin brutal.) and the results came back benign thankfully. Now I have a titanium clip where the sample was taken. Even though it was benign they wanted to then surgically remove the rest. That was when I finally spoke up and said no. I asked to wait for the next MRI and see if it had grown. So 4 months later I had the MRI and the results showed that it was no longer visible. I wish I had the courage to ask for the scan first before the biopsy so I could have avoided the unnecessary procedure. As is common with breast MRI false positive results show up which is what mine was. I think it is hard to speak up and go with your gut sometimes out of fear but in certain instances it is so important. And Kairol I agree about doing your own research and getting educated about your disease. And I am long overdue for the GYN as well! Sometimes I just can’t handle anymore and fear takes over for a while but I know eventually I get back on track. Yes, depending on the situation, I’ve sometimes not followed Dr’s recommendations. I think this grew out of years of experience being sick and dealing with crappy Dr’s. In the beginning, I followed more blindly, but as the years passed, more and more I saw how Dr’s often were wrong and had no clue, and I was suffering as a result. Of course, I do always want to do what’s best and be safe and still get guilted into certain tests,drugs,etc. But now, it also has to make sense to me. There has to be a good reason for it and Dr’s have to articulate to me their reasoning of why it’s so necessary. I then weigh the pros/cons, my concerns vs theirs and try to come to an educated decision, that’s in my best interest given all the factors. Sometimes it’s not what they say. And I have to say, so far, I think I’ve made the right decisions. 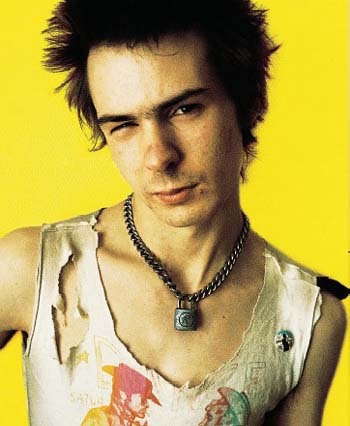 I seem to run into more trouble, when I don’t trust myself. My doubt used to force me to just follow Drs, figuring they had to know better, but as I’ve become more educated and also know my body more and more, I’ve seen that most of the time, I’m actually right. And the whole cancer experience has led me to trust myself even more than usual, cause too many times, I have questioned something, been dismissed, followed their protocol, and have been caused harm by it. Of course I wouldn’t recommend “going rouge” to the newbie patient, but if youre logical, educated, and know your body, I’m really seeing that sometimes patients know best. Absolutely! I think they sometimes forget we are PEOPLE. Being a 3B borderline stage 4 lymphoma patient, my first Onc. wanted to do a bone marrow biopsy (ouch!) before treatment and after. So I said (knowing the answer) “Other than calling me a 4 instead of a 3, will my bone marrow being positive for disease make any changes to my treatment plan?”, “well, no” he said. “Ok then you can do one at the end of treatment to make sure I’m clean but I’m not doing the first one if it makes no difference.”. “Well of course it would be clean after treatment.” he says with a condescending look and tone. “Great! Then I guess I don’t need either of them then.” He then got into a conversation about how they really don’t hurt and I should just do it to be safe blah blah blah. Oh really? Painless huh? “Oh yeah, I’ve done hundreds of them they’re not that bad.” Hmm tell me then. . . how many have you had done TO you?! . . . (silence) . . . “well, none”. Exactly! Thank you for playing and you can take your unnecessary painful biopsy and shove it! Then I moved on the Onc #2 and loved him. He takes into consideration my age and possible long term side effects of some of the less necessary procedures, tests, meds etc. without putting my overall health at risk. Everyone should do their own research about their disease and stand up for themselves. It is not that I disobey my doctors, but I make educated decisions. I feel I have more time then the doctor to research what is best for me. I still take into account the doctors judgement as well. I have no problem getting 2, 3 or even 4th opinions because there are doctors that are no interested in your best interested. The biggest thing I did against my doctors recommendation was wait an extra month for my first post-op MRI. It was scheduled for 2 weeks before my wedding. I wanted to feel like a “normal” person for at least that day. I did not want to know the status of my brain tumor until I could properly process the info. Since my MRI is tomorrow I cannot say if it was a bad decision, but right now I am confident in what I did. Jamie, Congrats on getting married. It sounds smart to take the pressure off of getting TMI at a time when you deserve to put cancer in a box on the shelf. I’ll be thinking about you tomorrow. Your comment reminded me of a few years back when my surgeon found more tumors and told me I needed surgery. When I asked how soon I had to do it, his reply was, “Well, if you are planning a wedding or something, I’d say you could wait 6-8 months, otherwise do it now.” Nothing like having your doctor make you feel like crap about being single. I decided that if an engaged woman could wait for her wedding until having surgery, then I could wait 6 months to do alternative medicine and see if my tumors shrunk. I waited, tried alternative medicine, and they didn’t shrink. But like you, I still felt confident about my decision. I could not agree and empathize with all of you any more. Less than two weeks ago I went in for what I thought would be a routine appointment. I was supposed to establish a baseline on regards of the effect of Tamoxifen on my girl parts. Well, as it turns out, my pap smear came back abnormal, and after a colposcopy it was decided I had precancerous cells in my cervix. This made the doctor, a gyno/oncologist, really concerned about that cyst in my right ovary I have been carrying around for a few years now. The long story short, he would’ve been happy if I had agreed to have a complete hysterectomy. I am not as young as you guys are, but I am still a few years away from menopause and I do not want to force this issue. I could see how he disapproved of my decision to NOT have the hysterectomy, even though I agreed to let him take my right ovary out at the same time he was going to do the cone biopsy in my cervix (surgery is on the 12). Doctors like him are the best at what they do (mine has the best reputation in the area), yet a lot of the times it feels like their bottom line is always to take everything out. And then they are perplexed when we disagree: “But you are alive! You won’t have cancer there because there are no more parts! So what if you have to deal with vaginal dryness, urinary track infections and unpleasant sexual relations for the rest of your life? You are alive and you should be happy about it.” And even though I DO understand, and I am happy to be alive, somehow I have a really hard time about this attitude. You try to learn the best you can about your problems so you can deal with it, but it isn’t easy. I would really like it if the medical community were more responsive, helpful and sensitive to women’s issues. I hate feeling defensive and having to make decisions that most of the time come from my gut. When the doctors tell me the side effects are “really not that bad,” and I respond “not according to the women I have talked,” they agree they may be a bit insensitive because they are not women! (True story). They don’t deal with what we deal, so it’s easy for them to just say take it all out and put up with the consequences. I really wish things were a little better. I don’t think I know a woman who has found out a new drug/technique/solution to a problem from her doctor. It’s always from a friend, another woman. Have I disobeyed a doc’s order? I don’t think so – not exactly. Have I disagreed with one of their recommendations, and worked to change it? Hell, yeah. 1st time: Dr. Personality put me on a seriously high dose of her standard Folfiri regimen as mop-up chemo after my liver resection. At the time (2006) there was little to no science supporting post-op chemo’s ability to extend time-to-progression or overall survival. They did the infusions at MSKCC, sent me home on a body-heat regulated disposable dispenser pump, and instructed me how to d/c myself after 48 hours. It was the first and only time I vomited during an infusion (and I’ve had over 60 chemo infusions!) I called my local onc and arranged for them to d/c me – the nurse’s comment when told that I was supposed to d/c myself was ‘have they ever SEEN you after an infusion? you shouldn’t be handling sharps!’ Yeah. I know. Then I called Dr. Personality’s office, and explained what had happened, and that a week after infusion I was still too dizzy and nausea-ridden to move. The nurse blamed my vomiting and nausea on the 5-hr. train ride. I pointed out that at the time of the phone call, I was ‘riding’ my couch, and I was pretty sure it didn’t have wheels. ;) I explained that I’d reviewed my dose history, and it seemed I was back at the very high dose folfiri they’d tried during an earlier regimen, and had immediately scaled back – and I wanted my dose modified, or I was stopping treatment. A few minutes later Dr. P called me herself, to patiently explain to me the mechanism of dosing at mg/meter-squared. I didn’t bother explaining to her that I used to calc doses for a living; I just let her run on. At the end of the conversation, she agreed to lower the dose. She just had to get there on her own two feet. I responded, ‘I agree – and that person would be me. And what I want you to do is…’ and I outlined the parameters of the surgery to which I would consent. He’s a terrific surgeon, and an excellent doc. But we don’t always see eye-to-eye. The good thing is that we can always talk it out – and that my wishes are always respected. I can so relate to all of these comments. While I’ve not “disobeyed” a doctor’s order, I have questioned them and several times (coming up on my one-year anniversary of diagnosis any day now) pushed their envelopes. I was told I’d “never” be a candidate for liver resection and yet I have had Stage One of a two-stage operation. My local onc probably thinks I won’t have Stage Two, but I’m betting he’s wrong. I think some of the difficulty we’ve all experienced comes from the various levels of docs we’re dealing with: general oncologists, surgeons, specializing oncologists, radiologists, etc. I agree wholeheartedly that the person in charge of the patient’s team is the (well-informed) patient. Claudia, I can relate a little to what you say about the ‘just cut it all out’ mentality of some surgeons. I am now suffering as a result of that. I had an APR to remove a tumour. Now my quality of life is zip. I could have had an excision and longer chemo with additional drugs and still have had a reasonable chance of survival. But I ended up being pressured into surgery I did not want all because some surgeon wanted to tick the boxes and go for the most radical surgery possible. I just wish someone had bothered to listen to me. It’s not about quantity of life for me, it’s about quality – and I’ve been robbed of that now. Dear Anonymous, my heart is with you. I encourage you to talk to anybody and everybody who could possibly give you ideas to increase your quality of life. Please accept a big hug. Ok, well I know this is a blog for cancer patients, but I have a comment/question about disobeying drs orders. What if your disorder is in the realm of mental health? I’m educated, have done too much research, have had several intolerable side effects with various trials, was always opposed to medication for treatment (though have come to accept it as at least a potential help). But when your disorder is anxiety, borderline ocd, how can you be sure you’re right? I recently did exactly the opposite of what my dr told me to do with a medication dose. It was based on reason and research. I was expecting to have the normal side effects for a couple days, but I didn’t! I actually did better, and it wasn’t even 24 hrs after the decision. I know part of the problem is that I am terrible at communicating the issues and the effects. That’s why I trusted myself, but at the same time, of course I still doubt it! In the end, I called my dr and left him a message. But I haven’t received any reply yet.